If you are looking for a job, especially as a fresher, your soft skills are critical in nailing the job for you. Here’s why? 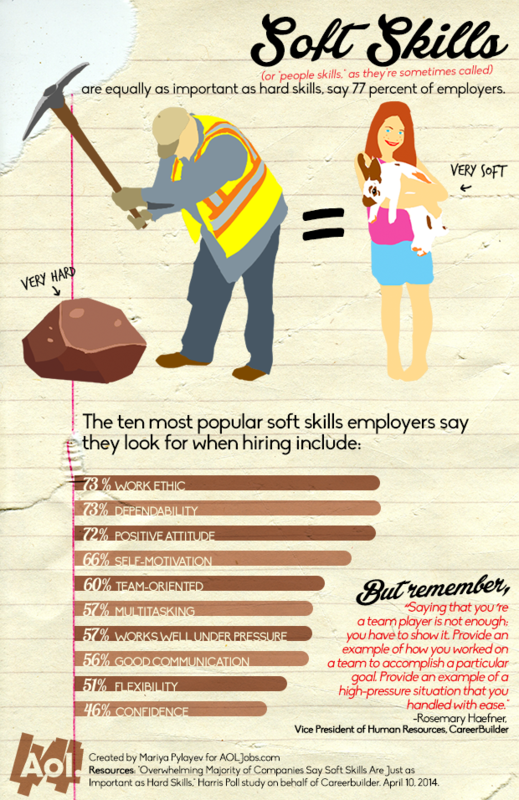 77% employers look for these soft skills in a candidate, according to a survey by CareerBuilder in April 2014. 16% of the employers responded that soft skills were more important than hard skills. Read about the 10 most important soft skills a fresher should have in an article on Entrepreneur.com posted in June 2014.